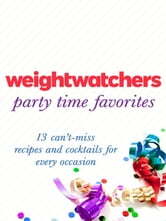 To celebrate the upcoming publication of the Weight Watchers 50th Anniversary Cookbook, we have selected some of the book's most scrumptious, share-able foods for one unbeatably priced e-book: Weight Watchers Party Favorites, the ultimate roundup of bites and drinks for a "Who knew it was healthy?" get-together. This e-book offers exclusive cocktails (like a caipirinha and a twist on a Bellini) only found here, salads like Lemon-Basil Three-Bean Salad, favorite appetizers such as Nachos and Buffalo Wings, even yummy desserts like Lemon Bars and Mini Cheesecake Bites with Blueberry Topping. 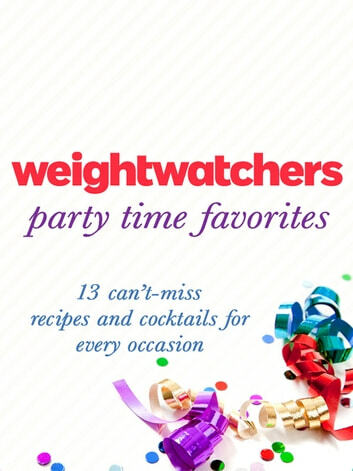 Weight Watchers Party Favorites recipes are must-haves for every party on your calendar, any time of year.